Porsche have just launched the new Targa version of the 911, the version with a completely glass roof. Now you might be a Porsche lover or hater, but what is beyond doubt is the impressive way they have respected and refreshed the "product DNA" of their brand. The distinctive, immediately recognizable characteristics of the car are still there: the body shape, the glass roof, the rear-engine. Yet they have managed to update it for the year 2006. 1. 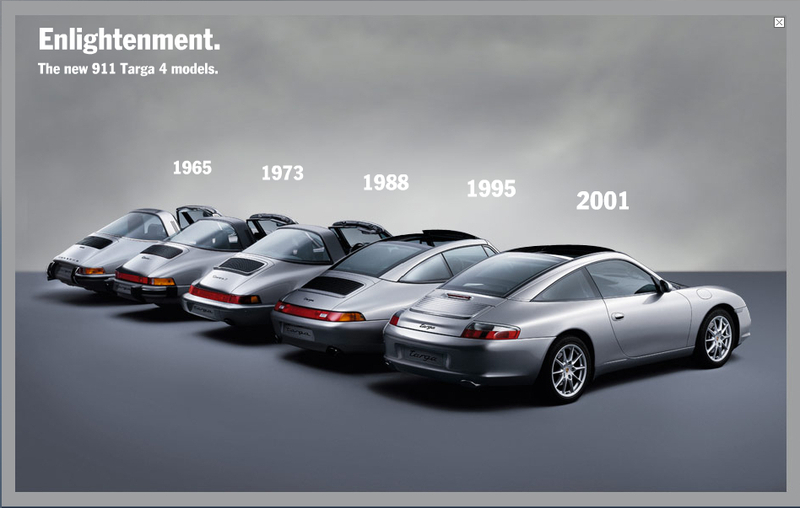 Do you have a product DNA today that is as distinctive as the 911? What makes your product/pack different and recognisable? 2. Which elements have been kept consistent to protect the product DNA? 3. And what has been done to keep it refreshed and relevant for today?